Emerson has launched the latest version of its Smart Meter Verification software for Coriolis and magnetic flowmeters, providing verification on demand and empowering process engineers, technicians and operators to look beyond the meter and make real-time decisions based on advanced meter and process diagnostics. New tools in the software allow users to fine tune and adjust their engineering processes to ensure absolute measurement confidence and top performance in the chemicals, food and beverage, life sciences, oil and gas, and other process industries. In addition to on-board diagnostics, Smart Meter Verification also accelerates implementation of companies’ IIoT strategies with its powerful remote diagnostics, digital intelligence and multiple data points providing users with a complete process overview and greater operational certainty. Rather than costly and time-consuming calibrations and laboratory testing, leading to production interruptions, shut-downs and safety concerns, the advanced Smart Meter Verification provides in situ calibration verification on demand without any impact on process or meter outputs. The new system also provides operators with crucial information on other flow issues across the plant. Innovative algorithms detect coating, corrosion and erosion in the meter with remedial action able to be instigated immediately. Emerson has also integrated a 99% confidence statistical meter damage detection algorithm that enables early detection without false alarms. 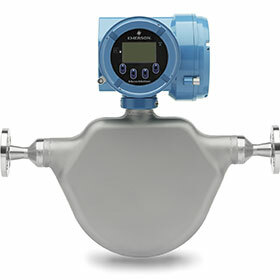 New process diagnostic capabilities that include a ‘flow range’ diagnostic, which alerts the engineer when flow rates are not within the specified range of the meter; instrument diagnostics that can identify if entrained gas is in the process; and immediate alerts to process upsets that may affect measurement performance, such as severe aeration. Tube coating diagnostics offer crucial data points and drive valuable information to the end user, alerting them when the meter is coated by something unexpected from the process line, particularly important in food and beverages and life sciences applications. Clear and transparent verification audit trails, advanced visual analysis and reporting software meets third party regulatory agency compliance requirements in lieu of meter calibration, inspection or removal. By providing a time-stamped verification report, an increasing number of third-parties, such as the U.S. Food and Drug Administration and the U.S. Environmental Protection Agency, recognise verification technologies, such as Smart Meter Verification, as a method to confirm instrument calibration and extend recalibration or proving intervals. Reduced meter maintenance requirements with vital variables, such as mass flow, are verified to be within factory accuracy specifications. Smart Meter Verification also generates detailed information on all sensors, including serial numbers, condition temperature and calibration information, ensuring a simple path to instrument and process compliance. Emerson’s new diagnostics are an easy-to-use, automatic tool for Micro Motion Coriolis and Rosemount magnetic flowmeters, which monitor instrument performance and integrity in a wide variety of process applications, such as oil and gas, food and beverage and chemicals.